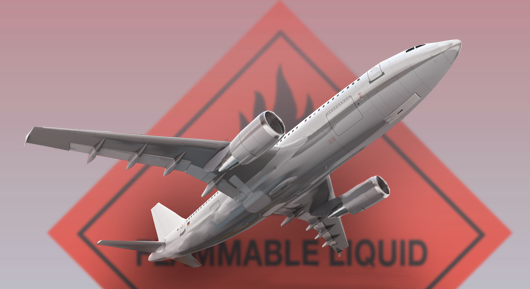 On March 27, 2018, the International Air Transport Association (IATA) issued guidance regarding the specifications for dangerous goods labels on air shipments. In the guidance document, IATA announced that the recently added 2 mm minimum size requirement for hazard label borders will be overturned. Following the UN’s lead, IATA introduced new hazard label design requirements—including a minimum 2mm border line on all package warning labels—in the 56th Edition Dangerous Goods Regulations and provided a two-year transition period for shippers to come into compliance. While the amendments were intended to improve consistency, language used to specify the ruling caused confusion at an international level, and it had the unintended consequence of delays of shipments due to different interpretations of the regulation. Many dangerous goods shippers and stakeholders raised concerns about the 2 mm border requirement, given that the size of the border had no impact on the safety of the shipment. What now for Dangerous goods labels? As a result, the United National Sub-committee of Experts on the Transport of Dangerous Goods determined that specifying a minimum thickness for the line width was not necessary for safety reasons. The International Civil Aviation Organization (ICAO) and the International Maritime Organization (IMO) have now rescinded the requirement for the 2mm label border thickness. ADR/RID will most likely align with the future amendments. The ICAO Dangerous Goods Panel are to modify the hazard label specifications in the Technical Instructions, effective in the 2019-2020 edition. Once the Technical Instructions are updated, IATA will update its own hazard label rules at DGR 7.2.2.3.2(a) to remove or relax the 2 mm border requirement. Until the DGR is updated, hazard labels that do not conform to the 2 mm border rule will be treated as a “minor variation.” Minor variations are acceptable so long as they do not affect the obvious meaning of the label.